It was the first ever NSPCC Bobble Hat Day today and Baby B was desperate to get in on the knitted hat fun. 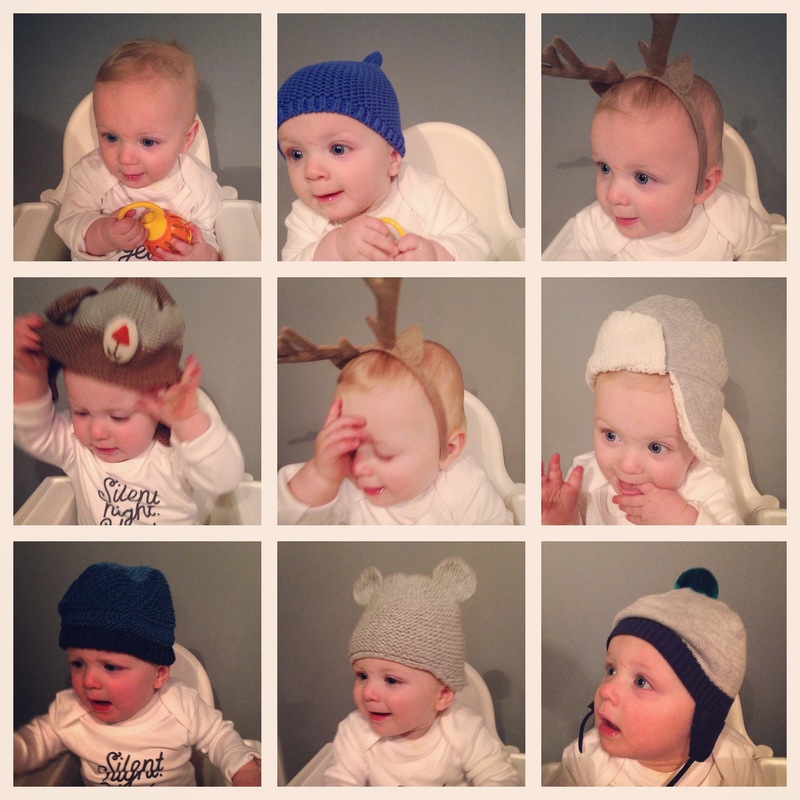 He’s collected a wide range of headgear in his nine months on the planet. Maybe he’s going to grow up to be the next lead singer of Jamiroquai? Anyway, he tootled off to his bedroom and came back with seven hats and a bell. No, make that six hats, some antlers, and a bell. The bell was simply used to attract the photographer’s attention. He tried the antlers twice but realised on the second attempt that they were simply not working. The small blue hat was a hit. The hat with the badge was too big. The deerstalker caused issues with the earflaps. The dark blue hat was itchy and swiftly rejected. The one with the ears was his favourite. By the time he tried on the actual bobble hat he’d lost interest and was ordering some pikelets with marmite for his tea. Which hat is your favourite?! You can follow all the bobble hat action at #BobbleHatDay. And to donate £2 to the NSPCC all you need to do is text BOBBLE to 70744!